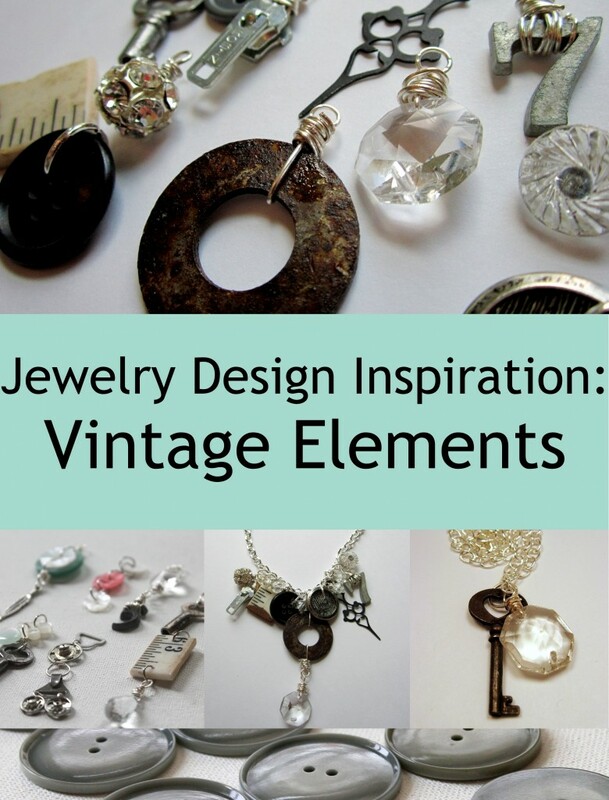 This week’s jewelry design inspiration: Vintage Elements. I love using old, unique items in my jewelry making. I’m not exactly sure where I started with it, but it was probably skeleton keys. In some of my jewelry design inspiration posts I talk about being inspired (by nature or buildings, etc.) and then using that inspiration to design jewelry, probably sketching out a design and then making it from there. When I’m using old vintage items, I usually start with the object itself and then create a design around it. For example, for this bracelet I had that cute little metal number. 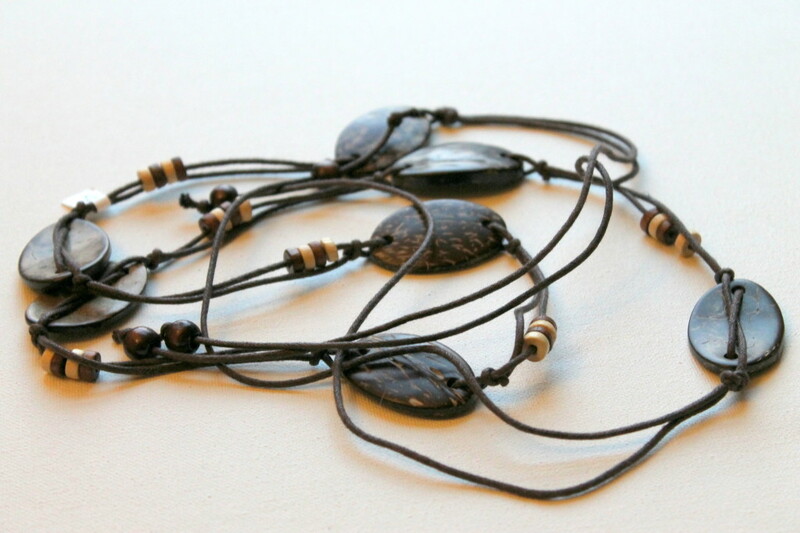 For this number it’s pretty simple to add a couple of jump rings and use it in jewelry making. For other things, you have to get more creative. You can see the number 7 above where I had to do some extra wire wrapping. Look for items that have an opening where you could loop a jump ring through or wire wrap. The clock hand above will work just as is because of the circle at the top and you can just add a jump ring. Same thing with most buttons. Larger buttons you would have to make a wire wrapped loop if its too big for a jump ring. With any piece you have, go for the most simple solution first. I.e. 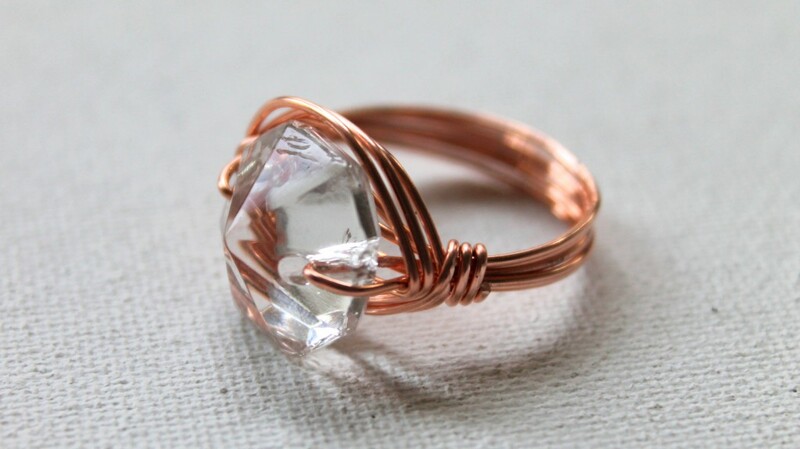 add a jump ring or some wire wrapping. You can drill other items. I have some cute little pieces of rulers that have holes drilled to make charms or you could drill a hole on each side and attach them with jump rings to make a bracelet. 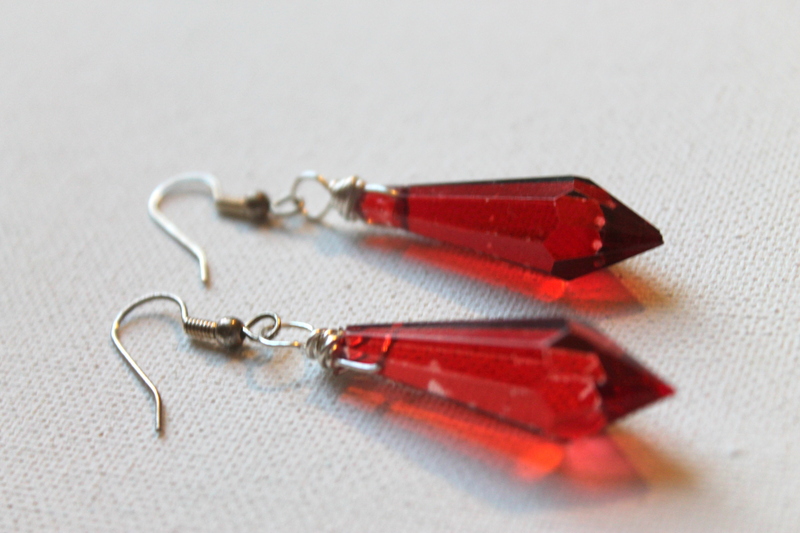 Once you start thinking about things you can use in jewelry making, everything starts to become a possibility. Old games, small toys, etc. For things made of questionable metal or have cool rusting like the washer above that you want to use, seal them so they won’t irritate your skin. You can use these pieces for any type of jewelry. 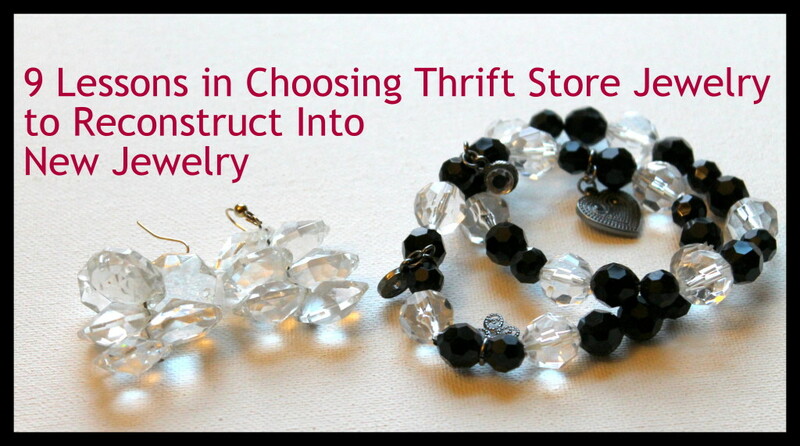 Just look at each vintage piece and think about different ways you could use it in your jewelry making. 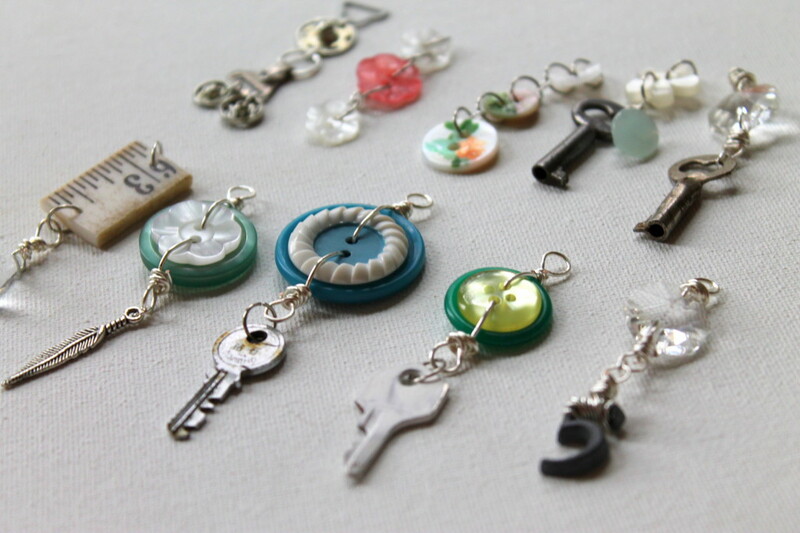 You can put a bunch of charms together to make a cute necklace or charm bracelet. Or use an element as a centerpiece of your jewelry, such as this chandelier crystal ring or earrings. 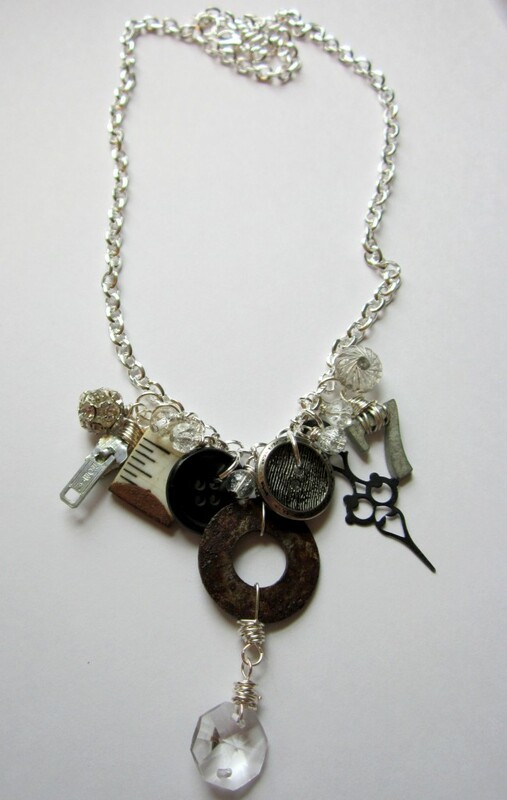 Love making jewelry or want to learn? Make sure to sign up for my email newsletter. You’ll get weekly jewelry making tips, tricks and tutorials plus my free 14 day eCourse! 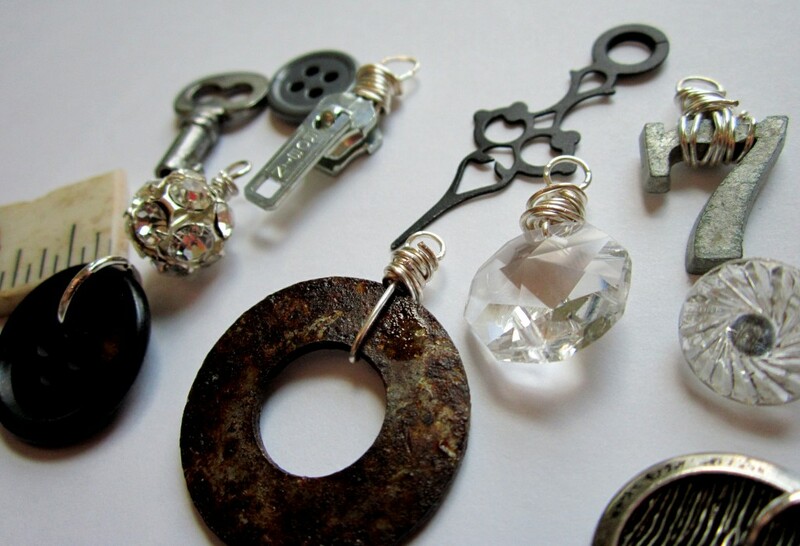 This entry was posted in Creativity, Design Inspiration, Inspiration and tagged creative inspiration, creativity, how to make jewelry, jewelry design inspiration, jewelry making, vintage elements by Kimberlie. Bookmark the permalink.